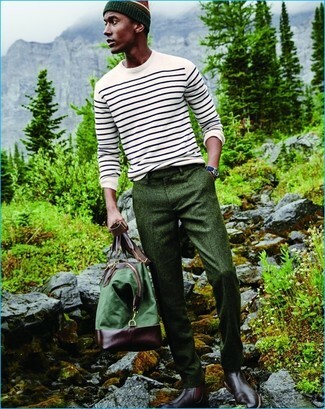 For a nothing less than incredibly stylish getup, consider teaming a white horizontal striped crew-neck sweater with dark green wool dress pants. Choose a pair of burgundy leather boots for a more relaxed feel. 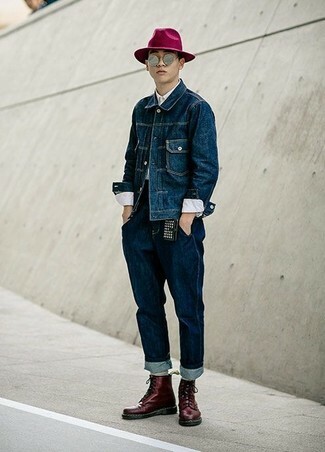 If you're scouting for a casual yet stylish look, team a blue denim jacket with light blue jeans. Both of these items are super comfy and they will also look stunning when worn together. Channel your inner Ryan Gosling and grab a pair of burgundy leather boots to class up your getup. If you're a fan of functionality dressing when it comes to your personal style, you'll love this stylish combination of a grey crew-neck sweater and charcoal ripped skinny jeans. Channel your inner Ryan Gosling and grab a pair of burgundy leather boots to class up your ensemble. 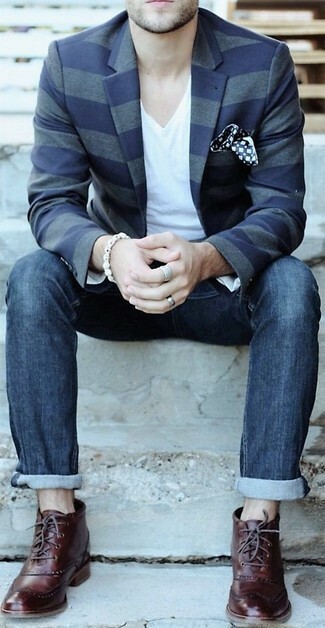 If you're searching for a casual yet seriously stylish look, reach for a navy horizontal striped blazer and navy jeans. As well as totally comfy, both of these garments look great when paired together. 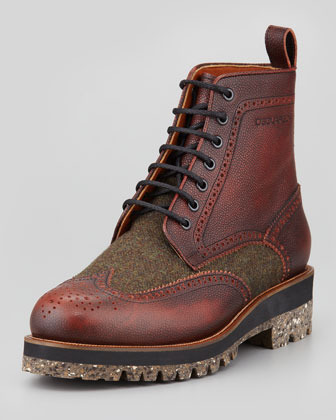 Turn your sartorial beast mode on and grab a pair of DSquared 2 Leather Tweed Wing Tip Boot Brown from Neiman Marcus. 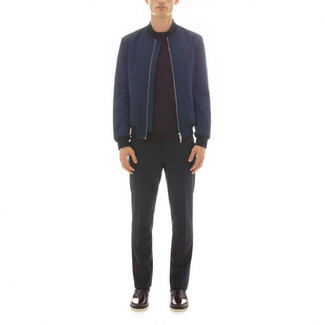 For a nothing less than incredibly stylish getup, try teaming a navy bomber jacket with black dress pants. Make DSquared burgundy leather boots your footwear choice to make the getup more current. 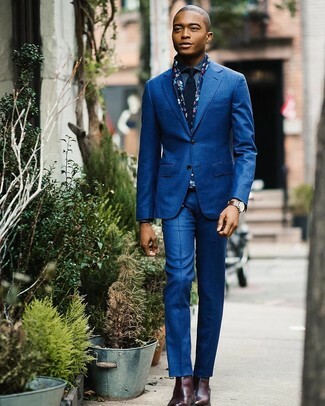 For a nothing less than incredibly stylish look, marry a blue suit with a blue denim shirt. Break up your outfit with more casual footwear, like this pair of DSquared 2 Leather Tweed Wing Tip Boot Brown from Neiman Marcus. If you're after a casual yet on-trend look, try pairing a tobacco shawl cardigan with blue jeans. As well as totally comfy, both pieces look great paired together. 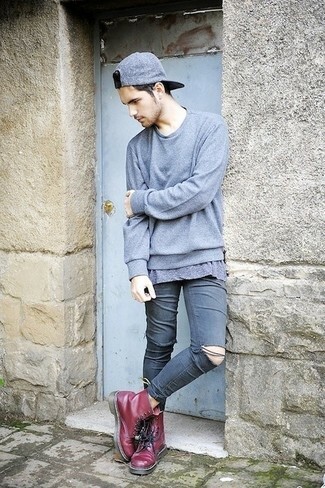 When it comes to shoes, this ensemble is round off nicely with burgundy leather boots. 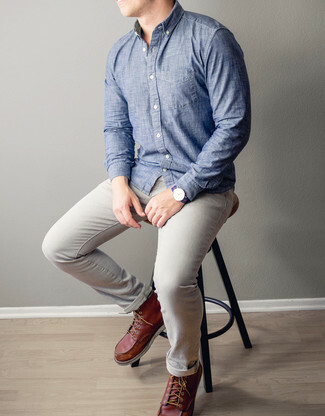 If you're on the hunt for a casual yet seriously stylish outfit, try teaming a blue chambray long sleeve shirt with grey jeans. As well as very comfy, both pieces look great when worn together. Channel your inner Ryan Gosling and rock a pair of burgundy leather boots to class up your outfit. 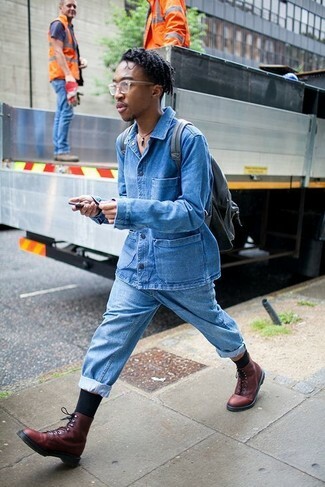 If you're after a casual yet dapper look, pair a navy denim jacket with navy jeans. As well as totally comfortable, these garments look great when worn together. 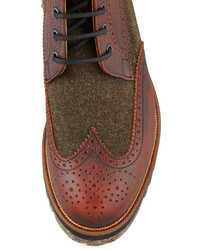 Choose a pair of DSquared 2 Leather Tweed Wing Tip Boot Brown from Neiman Marcus to kick things up to the next level.